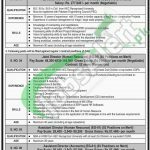 Here in the following, you will have Pakistan Civil Aviation Authority Jobs 2017 For AIIAP Expansion Project Lahore. Applications are being offered from Pakistan Civil Aviation Authority requires the services of well disciplined, caliber and adroit applicants are required for the Project named "Allama Iqbal International Airport (AIIAP) Expansion Project Lahore" and following posts needs to be filled which are named as (Project Director, Additional Director Electrical/Mechanical), Additional Director Civil, Joint Director (Human Resource), Assistant Director (Human Resource), Assistant Director (Accounts), Assistant Director (Vigilance) & Assistant Director (Electrical) are the given situations which need to be filled with overall qualification of B.E/BS.c/BS, MBA, ICMA/CA/ACCA, Masters and Bachelors qualification is required to apply along with relevant expertise are needed to apply for such posts. All the degrees should be HEC recognized. Age limits are different as 50, 40 and 28 years. Applicants will be given attractive salary package with a brilliant atmosphere. An appointment will be made on contract basis for the period of 2 years which will be done on purely merit basis. Now, let's have a look at its further details below. Civil Aviation Authority is the Government of Pakistan’s regulatory authority which is under the authority of Govt of Pakistan and regulates all the issues of civil aviation of Pakistan and which ever looks after all the safeties of flights and all the civilian airports are owned by the CAA and its is also responsible for their operation. 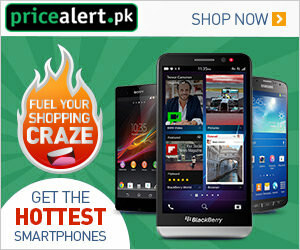 It consists of an official website as www.caapakistan.com.pk. Being a Govt body it offers Govt jobs of different categories. Interested and willing candidates should submit their application via online at the official site of CAA Pakistan or through web link given below. The last date for submission of application is 27th November 2017.